This is more for people who are looking to get a good ground level way to smoke their sticky-icky and maybe be the designated joint roller at the get-together. Without further ado, a step-by-step joint rolling guide to make you feel that you did right by your green and all fellow stoners. This is a no-brainer, grab your finest selection of herb and get it into your fancy grinder and get to cranking. Make sure to hold it, and be grateful for the medicine you are about to receive before you grind it into tiny little pieces. PLEASE do not be the guy/gal that throws in whole pieces of bud and stems into the joint. You’re probably curious how to grind weed without a grinder. If you are lacking a grinder, you can always use something that will cut it up as small as possible. Also, a grinder is just going to be the most efficient way to avoid lumps and having your spliff end in a horrible canoe accident. It’s really up to you on this step and entirely to your benefit if you choose to make a filter for a joint. Ultimately this is going to give you the maximum amount of bud smoking from your joint. I’d recommend finding a small piece of firm paper and make an accordion and fold on one end to form a cylinder. See a drawn example here. Now that your weed is nicely broken up (and possibly a filter) at this point. It’s time to get to some anticipation rolling. 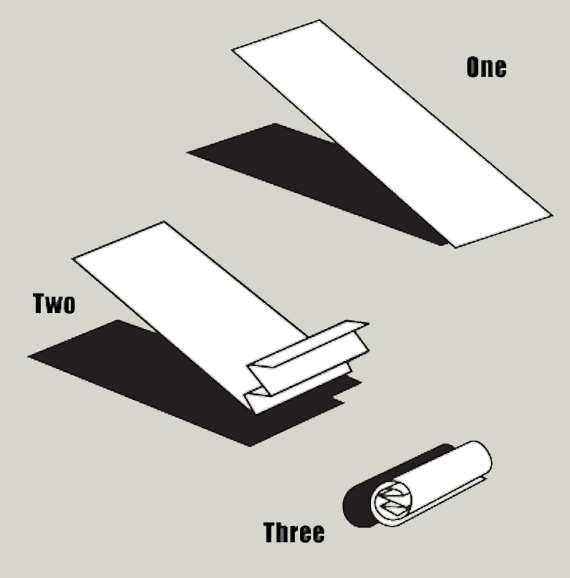 Pick a strip of rolling paper from your favorite brand and on most, you’ll see a little crease down the middle. This is going to be your way to contain your bud in a little V-trap. Start by holding on to the paper at one of the ends and begin sprinkling your flower into the crease. If you decided to make a filter let’s put the crutch at the end of one of the ends of the paper while you fill the rest of the paper evenly. Once you’ve spread the bud across the joint evenly, the next step is to shape your masterpiece. To make this happen, you want to pinch the paper between your fingertips and then begin to roll back and forth to make the weed take the shape of your paper. In doing this, you’ll make the final steps seamless as bud can be a pain sometimes, as it’s not evenly shaped everywhere in the joint. Let’s put the final touches on your next soon to be roach. This step is essential to make your joint burn evenly. Begin with keeping your fingers on the back of the joint and your texting fingers (thumbs) in front and start to slowly roll the paper back and forth with your thumbs and pointer, and middle fingers. The goal is to get all of the bud evened out across the whole joint. Then you need to tuck the paper from the front on top of the bud and under the back side of the paper. Give your joint a good lick (don’t slobber) and close it up. Most of the time you’ll find that the end of the joint is a bit loose and you could potentially lose some green gold out the tip. Packing your weed at the end makes sure that you won’t lose any from a wrong angle. Plus you’ll technically have more bud concentrated on your greens hit. To do this, you can use a lot of objects around the house, most people use pens or if they are high already, something like the end of a string on their hoodie. Once it’s nice and tight, move on to the final step. That’s it, you learned how to roll a joint! If you are doing a bunch of these at once, we recommend folding or twisting the end of the paper to store them or add a bit of finesse to your greens hit. If you made it to this step after rolling a ton of papers, it’s ok. Keep practicing, and soon you’ll be getting asked by your friends to be the roller when you guys meet up. Once you have the classic joint roll down. You may want to expand to other types of rolls like cones, cross, and other cool joint creations. If you have another way of rolling your bud into a joint. Please comment below!